Glad you are here. We would love to be your home church. Senior Pastor's Ron and Christine are a blessing.. They have such a passion to raise up believer who love God and our empowered to reach this generation with the Gospel of Jesus Christ. They love to help everyone come into their ministry and destiny that God has called them to. They have been in the ministry for 38 years. They have two children and 6 grandchildren. They have pioneered 3 churches of which Freedom life Center being the most recent. They have Pastored and Evangelized for many years. They have a heart for the lost and dying and those that are trapped by addictions of any kind. God has given them a great vision for the community and tri-state area. They desire for people to be changed by the power of the Holy Spirit and become all that God has intended them to be. Pastor Ron’s Messages are touched and anointed by the Holy Spirit and will help you live a powerful life for Jesus Christ. He works and moves in the gifts of the spirit and the prophetic and his preaching will release the presence and the reality of the Lord Jesus Christ into your life . He was set free from drugs and addictions at the age of 19 and is used by the Holy Spirit to help change the life’s of those who have addictions and helping them be transformed by the power of God. 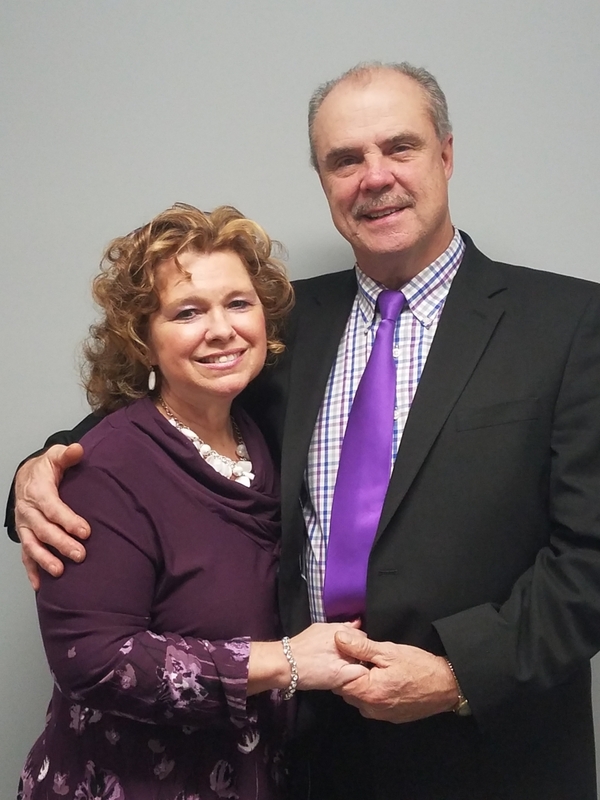 Pastor Christine has worked along side her husband in the ministry and in area of Worship. She has lead Worship for many years and has a great desire to empower Women to become committed to finding their destiny in Christ. She has served in many area in the church Teaching ,Worship leading , Preaching and many other areas as she is willing to fill the need as it arises. She loves to pray at the alter and works in the gifts of the Holy Spirit.